By Richard Francis Crane | Dr. Crane is a Professor of History at Benedictine College and author of Passion of Israel: Jacques Maritain, Catholic Conscience and the Holocaust. There is something odd, perhaps even jarring, about contemplating the most controversial pope of the 20th century, Pius XII, during a week celebrating that most respected and adored modern pontiff, Blessed John Paul II. But a little bit of dissonance can grab our attention and stimulate our thought. It can help us remember that the Catholic Church not only teaches eternal truths, but is a church rooted in history. Our popes are both spiritual exemplars and historical figures, who have often played both a religious and a political role in their times. I want to explain why Pius’ reign — and especially his conduct during the Holocaust — remains controversial and may impact his own cause for canonization. My purpose is to untangle history from myth, and help us better understand the controversy. Since the 1960s, public awareness and academic study of the Holocaust have grown exponentially. This began with the trial of Nazi war criminal Adolf Eichmann in 1961, and culminated in 1993 with both the opening of the United States Holocaust Memorial Museum and the success of the Oscar winning film Schindler’s List. Today, the legacy of the Holocaust is inescapable in higher education, popular culture, and political discourse. 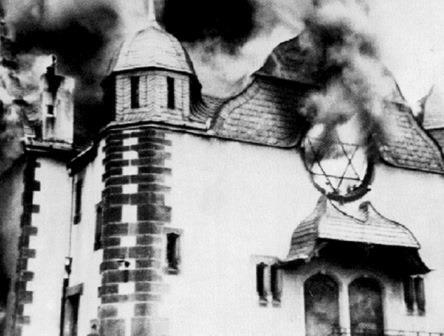 Beginning with the publication of Raul Hilberg’s The Destruction of the European Jews in 1961, Holocaust research has gradually become a major historical field, focusing not only on perpetrators and victims, but also bystanders. In the meantime, the Second Vatican Council (1962-65) opened up new possibilities for improving Christian-Jewish relations. The Catholic Church’s repudiation of anti-Jewish prejudice has accompanied significant historical and theological research into the centuries-long tradition of anti-Judaism. Questions have been raised about longstanding Christian antipathy toward Jews and either indifference or complicity in antisemitism and the Holocaust. Pope Pius XII has received particular attention, scrutiny, even condemnation in this regard. His alleged “silence” in the face of Hitler’s extermination of Europe’s Jews has been the focus of numerous books, many of them far more polemical than scholarly. For many people, Cornwell’s condemnation still serves as the last word on Pius XII and the Holocaust. I want to offer a broader and deeper historical perspective, an appeal to reason and the historical record. Increasingly, historians have produced balanced, documentary-based works that avoid resorting to ad hominem attacks or hagiographic praise, instead focusing on the pontiff’s actual words and deeds, as well as his background and training, and the context of wartime Europe. Hopefully we can move beyond what the late Jesuit scholar Robert Graham called “the Black Legend of Pius XII.” Let’s begin at the beginning. Eugenio Maria Pacelli was born in Rome in 1876. Maria was the middle name of all his siblings, and his childhood was infused with a deep Marian piety (as Pope he would later proclaim the dogma of the Assumption of the Virgin Mary). Discussion of Pius’s background is essential, and has been neglected in many studies of his papacy, especially those that treat the Holocaust years in isolation. Importantly, young Pacelli was a scion of the “Black Nobility” — this sounds rather Gothic, even sinister, but the term refers to middle class officials who were elevated to honorific titles in the Vatican civil service. He came from a family of lawyers (grandfather and father), who were loyal servants in the papal bureaucracy. Steadfast loyalty to the Holy Father was increasingly important in the 1870s. Late-nineteenth century Europe was an age of power, of scientific progress, industrial expansion, and above all the ascendance of the nation state. Politics and culture were deeply affected by a surge of materialism and secularism. We can think of new challenges to the Catholic faith, including Darwinism and Marxism, and papal responses ranging from the Syllabus of Errors, to Rerum Novarum, to the condemnation of Modernism — all of these are historically and theologically crucial. Perhaps the most significant change that shaped Pacelli’s adult attitudes was the inexorable growth of the modern state, with increasingly widespread powers and claims to individual obedience and loyalty that inevitably encroached on the prerogatives of the Church. Let us look at three key national examples right before the future Pius XII was born. First Italian unification was achieved through a series of wars that established a Kingdom of Italy under the rule of the House of Savoy. This Risorgiomento culminated in the conquest of Rome and absorption of the Papal States in 1870; the temporal power of the papacy abruptly ended. Pope Pius IX now called himself the “prisoner of the Vatican.” Second, we have the creation of a powerful German Empire. After achieving military triumph in 1870, Chancellor Otto von Bismarck practiced “negative integration,” using a campaign against a domestic enemy to mobilize support for Kaiser Wilhelm’s rule. His Kulturkampf marginalized the Catholic minority in the new German Reich. Subsequently, Catholics would need to prove their loyalty to the Prussian-led state. The French Third Republic also took root after 1870. In order to build a pluralistic democracy, its politicians crafted a series of anti-clerical laws in the late-1800s. By the first decade of twentieth century, religious orders would be expelled, Catholic schools closed, and the government unilaterally ended the Concordat that had regulated church-state relations since 1801. Papal diplomacy was becoming more important — protecting the international mission of the Catholic Church by negotiating with states and securing agreements that delineated political and religious spheres of influence. This included an eventual agreement with the Italian government on the sovereign status of Vatican City. Amidst this turbulent religious and political atmosphere, Eugenio Pacelli was ordained in 1899, and continued his education in canon law and the art of diplomacy. As an up and coming official in the Vatican secretariat of state, he helped negotiate an agreement that protected the practice of the Catholic faith in Serbia right before World War I broke out. 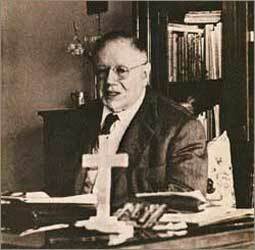 He then served as papal nuncio in Germany between 1917 and 1929, a tumultuous time of brutal war, bitter defeat, the threat of Communist revolution, and the beginning of Hitler’s political career. Named a cardinal in 1929, Pacelli became Vatican Secretary of State in 1930. He served Pope Pius XI (Achille Ratti) until the latter’s death in February 1939. His first major achievement was negotiating a Concordat with the new Nazi German regime in 1933 that protected the rights of the Catholic Church in that country. The price was Catholic abstention in politics. 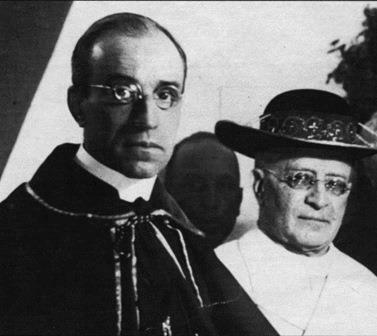 Hitler’s government never kept its side of the agreement, and in 1937 Secretary Pacelli helped Pius XI draft the encyclical Mit Brennender Sorge (“With Burning Concern”) that denounced Nazi racism and neo-paganism. Pius XI also ordered the drafting of an encyclical against antisemitism but this was put on hold when he died. Against Nazi objections, Cardinal Pacelli was elected Pope Pius XII in March 1939. Less than six months later, Hitler invaded Poland. Although he found Nazism abhorrent, the new pontiff was eager to preserve Vatican neutrality during wartime. More to the point, Pius did not consider himself morally neutral between 1939 and 1945, but he wanted to remain politically impartial. He hoped, however unrealistically, that the Vatican could mediate a peace settlement and prevent a recurrence of the 1914-18 disaster. As it happened, the carnage of World War II would dwarf that of the earlier conflict and contribute a new word to the English language: genocide. With the benefits of hindsight, and some documentary evidence, historians now emphasize that above all Pius’ political instincts were that of a diplomat. However much he lamented the sufferings of the victims of the war, he showed himself to be far more prudent than prophetic — he was worried about the Church’s survival but also did not want to provoke reprisals against Jews or endanger clandestine actions on their behalf. Pius was accused of silence from the very beginning of the war, although this had nothing to do with not speaking out about the killing of Jews. He was criticized for not condemning the mass murder of Polish priests beginning in the fall of 1939 — part of the Nazi policy of liquidating all members of the Polish leadership and intelligentsia. Further criticism of the pope’s failure to speak out on behalf of a terrorized and starving Polish population increased during the war, prompting this scathing protest by exiled Polish bishop Karol Radonski in 1942: “[T]he people, deprived of everything, die of hunger, and the pope remains silent as if he did not care about his sheep.” Again, not only did criticisms of Pius’ silence begin at an early date, initially they had little or nothing to do with Jewish victims of the Nazis, but rather a predominantly Catholic population. In truth, Pius was hardly silent during the war, but his protests against the mass killing of civilians were couched in a humanitarian tone and often expressed in theological terms within a larger document or address. His general statements during war, beginning with his 1939 encyclical Summi Pontificatus unambiguously condemned killing because of race or nationality. This was not silence, but it was not very specific either, and it did not constitute an explicit indictment of the Third Reich. Pius’ 1942 Christmas message serves as an excellent example of this kind of general, but unmistakable, even if insufficient condemnation. In the middle of the message’s fifty-six paragraphs one can see a clear rejection of mass murder. Here, Pius mourns the murder of “hundreds of thousands of persons who, without any fault on their part, sometimes only because of their nationality or race, have been consigned to death or to a slow decline.” The New York Times lauded Pius as a “lonely voice crying out of the silence of a continent.” During the war, the Nazis found this to be excessive criticism; for the western Allies it was not nearly enough. Stalin had a point, and more importantly, few leaders, including Jewish ones, had a full appreciation of the scale and speed of the Nazi extermination process as it was unfolding. According to historian Christopher Browning, in mid-March 1942 75-80% of the Jews killed in the Holocaust were still alive; a year later, 75-80% of them were dead. Postwar interviews, if not documents, reveal that behind the scenes, Pius gave his tacit encouragement to rescue efforts on behalf of threatened Jews, and in at least one case helped to ransom Jews held by the SS. Also, 4,238 Jews were hidden in monasteries and other religious buildings in Rome and 477 in the Vatican itself when German forces occupied the Eternal City between 1943 and 1944. Nonetheless, over 1000 Roman Jews were arrested by the Nazis in October 1943; they were deported to Auschwitz, and almost all were killed — only 17 survived the war. In the wake of the October razzia, Pius did not issue a public protest, only a private phone call to the German ambassador, which may have prevented another roundup by offering the veiled threat of a public protest. Documentary evidence here is lacking. In 1944, more behind-the-scenes papal diplomacy persuaded the Hungarian government to call a temporary halt to the deportation of their Jews, although the Germans soon stepped in to resume the process. Rescue efforts by the Catholic Church in various countries, including providing shelter and issuing thousands of baptismal certificates, continued throughout the war. When the war ended Pius was widely praised, even revered for both his deep piety and humanitarian efforts. Postwar tributes and expressions of gratitude came in from Jewish leaders around the world. Perhaps most strikingly, the Chief Rabbi of Rome, Israel Zolli, converted to Catholicism, and chose “Eugenio” as his baptismal name. Before World War II had even ended the Cold War had begun — into the 1950s Pius continually condemned the clear and present danger of communism, but not the fading threat of antisemitism. On at least one occasion, he was asked to formally reject antisemitism on behalf of the Church, but declined. The French philosopher Jacques Maritain, who served as his country’s ambassador to the Holy See for three years after the war, met with Pius in July 1946, and asked for a papal encyclical condemning antisemitism. Pius judged that a general statement he had recently made condemning “the hatred and folly of persecution” should suffice. The kind of statement Maritain sought would only come in 1965 with the Vatican II declaration Nostra Aetate. However, in 1955, Pius made a significant gesture in restoring the genuflection during the Good Friday prayer for the “unbelieving Jews,” paving the way for further liturgical reforms. On the other hand, he remained steadfast in his conviction that Jewish children rescued by Catholics and baptized during the war should not be returned to their Jewish relatives. This instruction was ignored by both Monsignor Angelo Roncalli (the future Pope John XXIII) and Father Karol Wojtyla. Yet five years later, Rolf Hochhuth’s play The Deputy cast Pius in a very different light, charging the now-deceased pontiff with silence and indifference during the Holocaust. When Pope Paul VI announced the causes for sainthood of both John XXIII and Pius XII in late-1965, the latter was already shrouded in controversy, a situation that remains unsettled down to the present. The issue of Pope Pius XII’s stance during the Holocaust is still open to debate, but in the second decade of the twenty-first century the “Pius wars” are largely over. While Pius XII remains a polarizing figure in the court of public opinion, scholarly interpretations over the last decade or so are increasingly more nuanced. The very titles of books can provide one indication. Polemical works such as Cornwell’s Hitler’s Pope or Gary Wills’ Papal Sin, on the one hand, and Ralph McInerny’s The Defamation of Pius XII and Rabbi David Dalin’s The Myth of Hitler’s Pope, on the other, have given way to more authoritative, archival-researched studies. These scholarly works include José Sanchez’s Pope Pius XII and the Holocaust: Understanding the Controversy, Frank Coppa’s The Policies and Politics of Pope Pius XII: Between Diplomacy and Morality, and Robert Ventresca’s new biography Soldier of Christ: The Life of Pius XII. These newer books do not have a stake in the question of Pius’ canonization nor have they been written expressly to rebut another book or books. These monographs take differing positions on specific events and issues, but they emphasize the significance of a Holy Father trained as a lawyer and a diplomat. And they all try to navigate the complex circumstances of World War II Europe, offering better insights into the pope’s inclinations, awareness, and most importantly, options during this terrible time of unfolding horrors. Research continues, and as I have indicated above, researchers still do not have all the documents at hand to answer all questions. 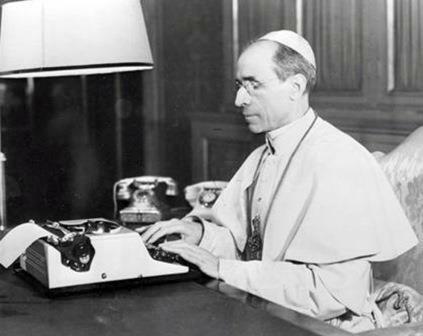 The archives for Pius XII’s pontificate have not yet been opened to researchers. In fact his predecessor Pius XI’s files only became available in 2006. If Pope Francis decides to open these archives, it would still take a year or two to sort and catalogue them. Even then, a fuller record will not end the debate, because the question of evaluating what a pope did not say or did not do is essentially a counterfactual one. Historians have a hard time measuring concern or indifference, and the inadequacy of virtually every Western leader’s response to the Holocaust as it was happening seems apparent in the moralizing comfort of retrospective clarity. There is overwhelming evidence that Pope Pius XII led a life of holiness, perhaps sanctity, and that he agonized and wept for all the victims of Nazism including Jews. Could he have made a real difference by saying more about the Nazi machinery of mass murder and by calling evil by its proper name? God only knows. Hopefully we have learned since then to better respond to prejudice and dehumanization before they become lethal threats to human dignity and existence.